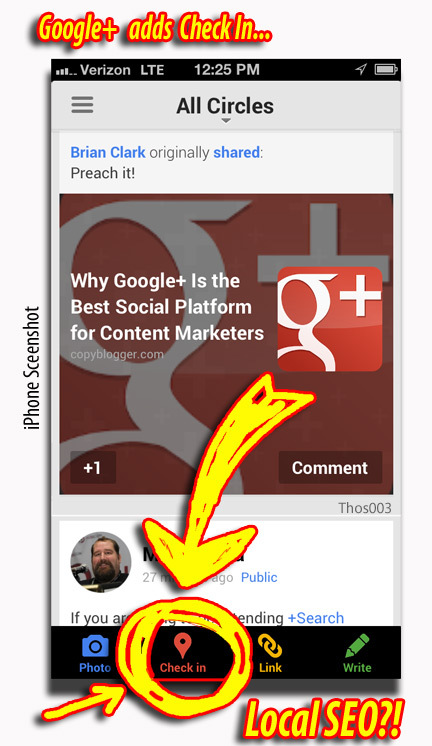 So Goolge rolls out Google Play earlier this week. And sure enough, “Google Play” is the first on the list for downloading music from Youtube. p.s. Some High School kids borrow my roach suites. Fun stuff, yes. 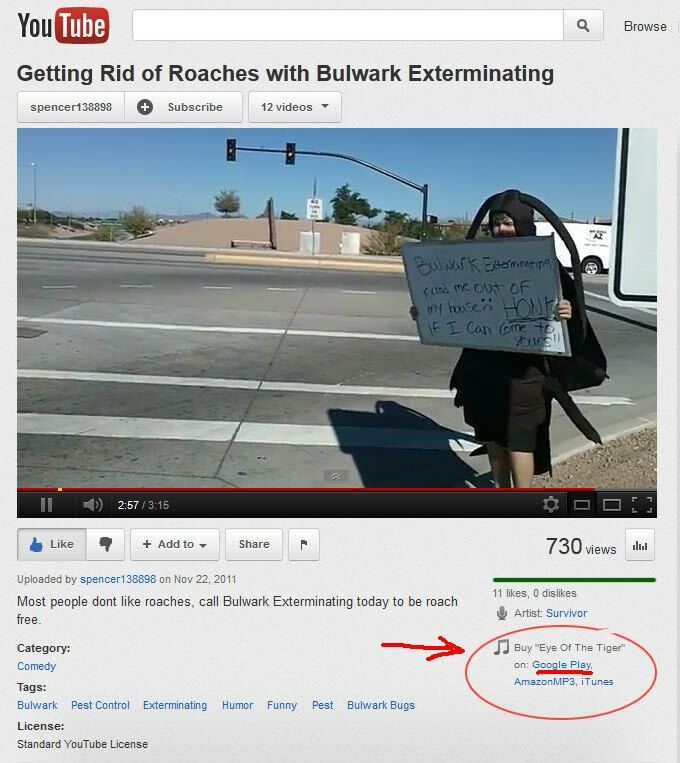 But don't think the video is endorsed by Bulwark Exterminating. “Cha-Ching” goes the Google Play account. Google’s “Do No Evil” is often called into question these days. Apparently “Size Does Matter”. 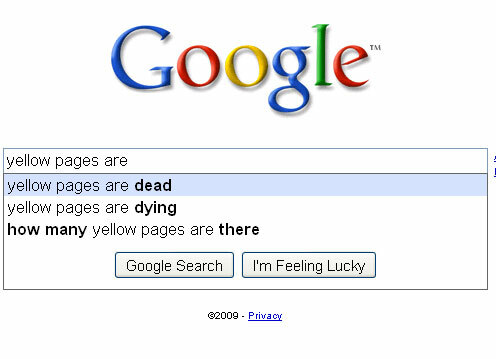 What has Google done other than amass the most powerful source for information today? Well Google is sitting on the biggest gold mine of data ever built. But wait, they aren’t just a data gathering search engine anymore… They are now “Google Play”, an online market place. They are an eCommerce store. They are interested in making money. And there seems to be a common sentiment about “the love of money being the root of all evil.” Google is just grown to be HUGE. And that scares a lot of people. 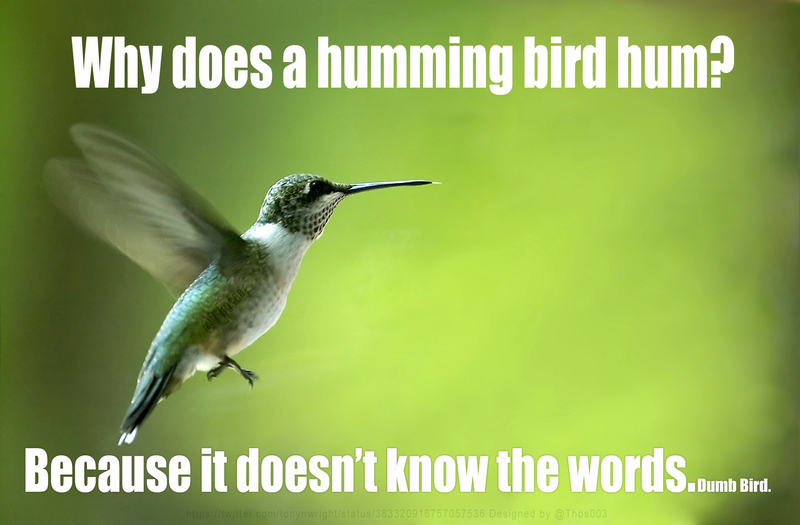 Honestly, I am just a Phoenix pest control guy reporting on what I observe. And if Google where deemed a pest, well they’d be too big for me to squash. But if you want a little entertainment then you can watch these cockroaches run through Walmart. …Gotta love Youtube! 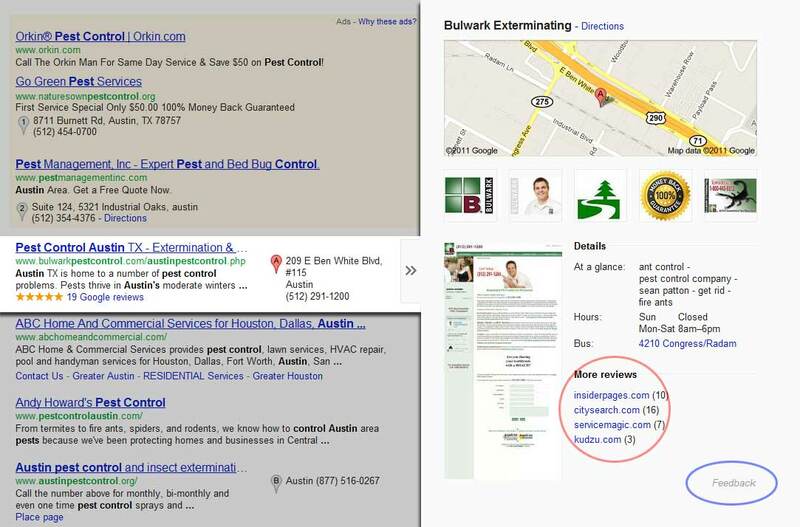 Here are some screen shots for the new Google local look. From gray place page markers to blue advertiser markers and down to red organic markers. The script highlights the organic marker while hovering the map. 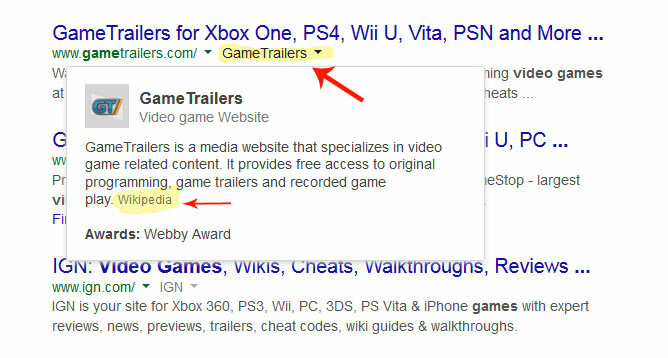 It will also pop up snippets for the organic results. Advertisers don’t get snippets. 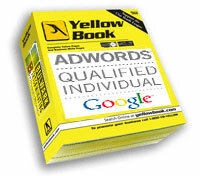 But they do get a cool blue marker after you scroll over the PPC ad. 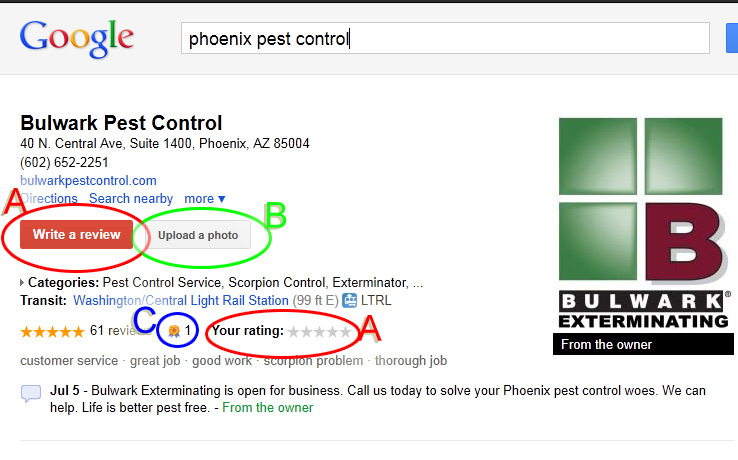 I searched Phoenix Pest Control first. 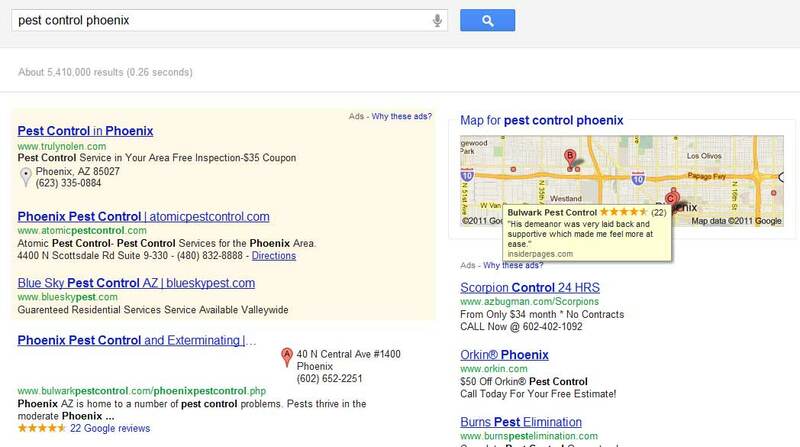 Screen shot for Phoenix Pest Control. Always nice to see pest control ratings in good standings. Way to go Bulwark Exterminating. The above is the pop out for the listing. New as well is the feedback. 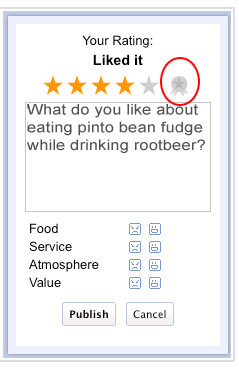 All good companies look for feedback. What the bug is this? 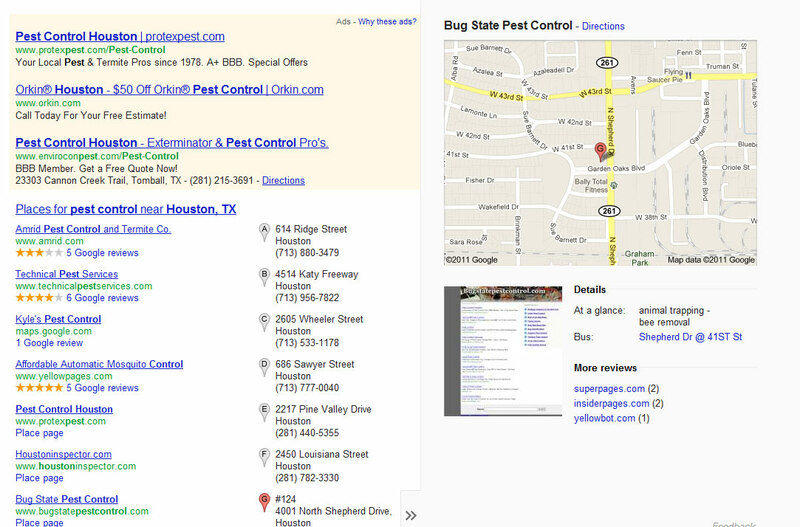 Is that a spam parked page hosted by godaddyo on the first page and in the place pages for a Houston Pest Control search? Sounds like a real pest problem there. 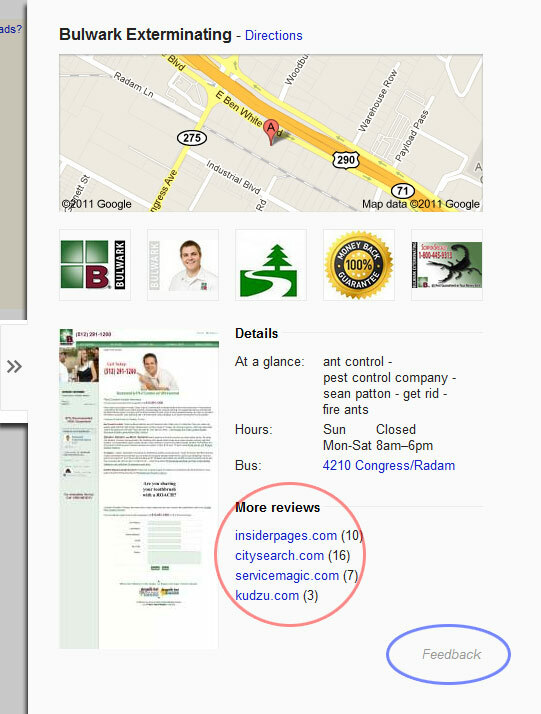 Back to pest control ratings and reviews if you highlight the map there is the snippet. 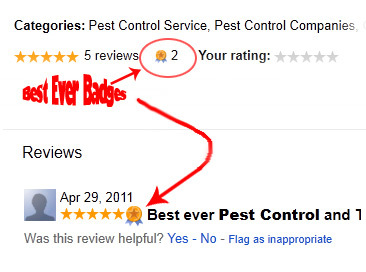 Bulwark Pest Control… 4.5 stars? Not bad for a Phoenix exterminator. 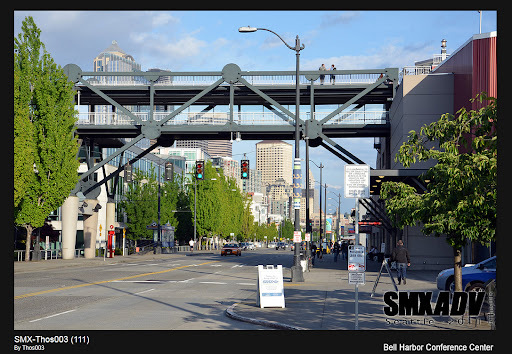 Oh… a little pest management would really help here. 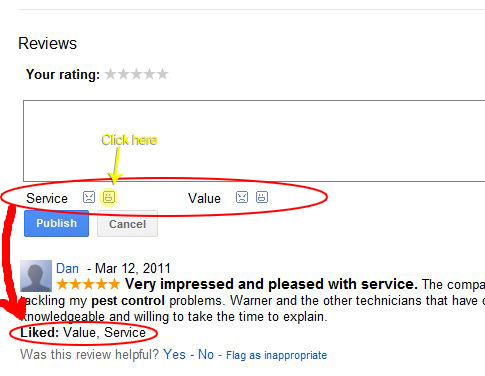 How does a page have 2 different review counts? 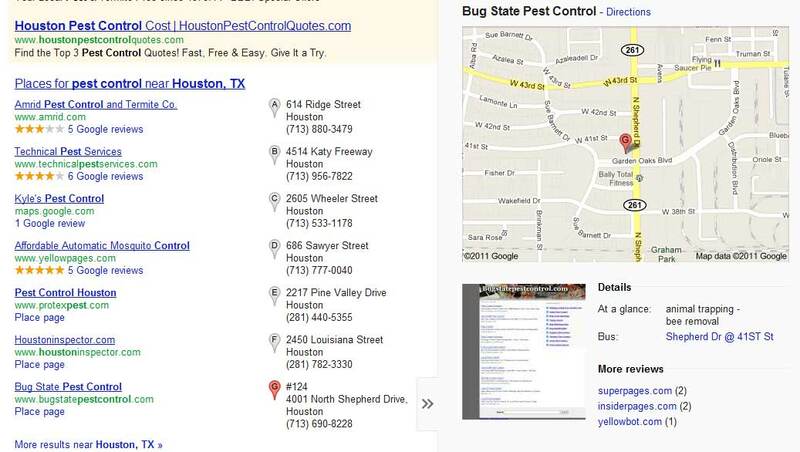 Why is the screen shot for http://bulwarkpest.com show the home page of http://www.bulwarkpestcontrol.com? Why do you keep hitting the reset button? A little scripting error here as well. 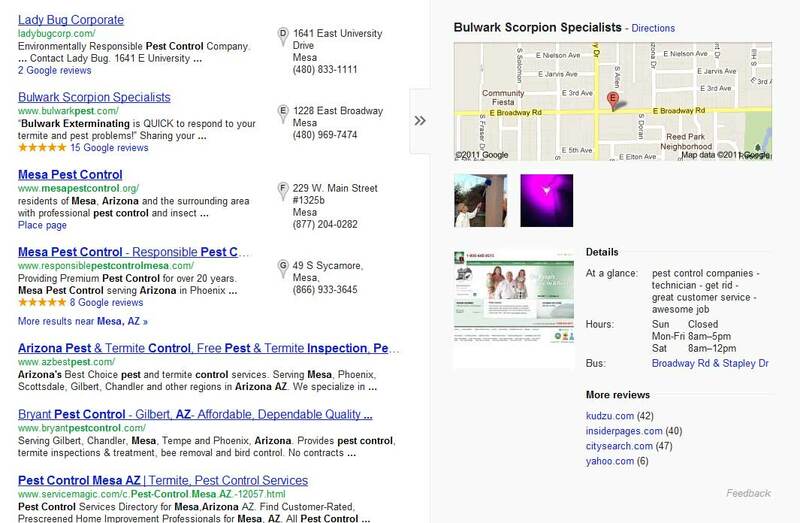 The marker is highlighting Bulwark Exterminating in Mesa AZ, when it should be showing the scorpion control ad below for spray plus. And yes, bug state has a real location. I am just surprised that the spam sites are not getting sucked up here. Pest control to the rescue!